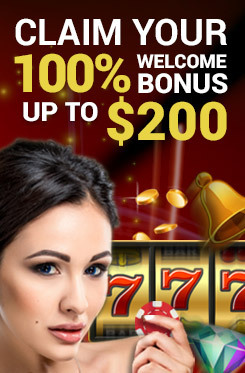 Mongoose Casino adheres to the concept of responsible gaming and takes online casino just as a form of positive adult entertainment. Mongoose Casino has always taken steps to encourage responsible gaming and has long established awareness prevention and treatment of problem gambling. We believe it is our responsible to educate you on the potential social and financial harms related with problem gambling. Gambling is just a pure form of leisure and entertainment and not a way of making money; any other intention may lead to long term negative consequences. Gambling is not a problem only when you lose. Winning and losing is part of the deal, however it is a problem when it affects your day-to-day life and changes your general behavior. Compulsive or excessive gaming is a big part of problem gambling and is a possibility among any demographic, age group, income group, culture or jobs. If you are having issues addressing whether you have a gambling problem, answering the questions below may help you identify better. Have you ever skipped work or other chores because of gambling? Have you ever criticized yourself for gambling? Have you lost interest or ignored family, friends or loved ones because of gambling? Have you used money for something else on gambling? Have you borrowed or stolen some money to use in gambling? Do you feel you need to recover any lost gambling amount immediately and gambled more? Do you get angry and frustrated when you gamble? Do you get angry or frustrated when you do not gamble? If you answer yes to some of these questions, it is certainly recommended that you maintain control over your gaming needs. Gambling should be taken as a form of entertainment and leisure rather than a genuine way of earning money. If necessary, use the deposit limit tool on your account (My Account section) to control the amount you spend. Lock yourself out of our casino if necessary if feel the need to do so. Use the self-exclusion toll in ‘My Accounts’. We demonstrate full commitment to the highest level of ethical standards when it comes to taking policies to prevent any possible negative effects of playing online casino games. Players can use this function on their account setting. This function allows players to set a cap, or limit on their deposit amount defined by the players themselves. Under ‘Limits’ of your Accounts section, players can ‘Set a deposit limit’ which is specified in $ for a set number of any days the player desires. For more help regarding setting a deposit limit on your account, contact our customer support team. If you wish to take a break from playing casino games, players can exclude themselves from Mongoose Casino using the Self-exclusion tool. Players can go to their account setting, click Self-exclusion’ under Limits and specify the number of days they want to be locked out of their account. Alternatively, players can contact our customer support directly. Self-exclusion means that players will be locked out of their account and will not be able to access their account under any circumstances for the number of days specified by the players themselves. Underage gambling is strictly prohibited in Mongoose Casino and we take this stipulation very seriously. No players under the age of 18 years old is allowed to open an account at Mongoose Casino and this is thoroughly verified thoroughly in the proves of registration, deposits and withdrawals. Through our KYC (Know Your Customer) formalities, we require players to submit various documents including valid government picture IDs with the mention of their date of birth. A failure to fulfill this requirement will disallow players with withdraw any deposits and their account will be suspended. PLEASE NOTE: That anyone under the age of 18 years old found to be using this site will have any winnings forfeited and may be reported to the appropriate local police force.